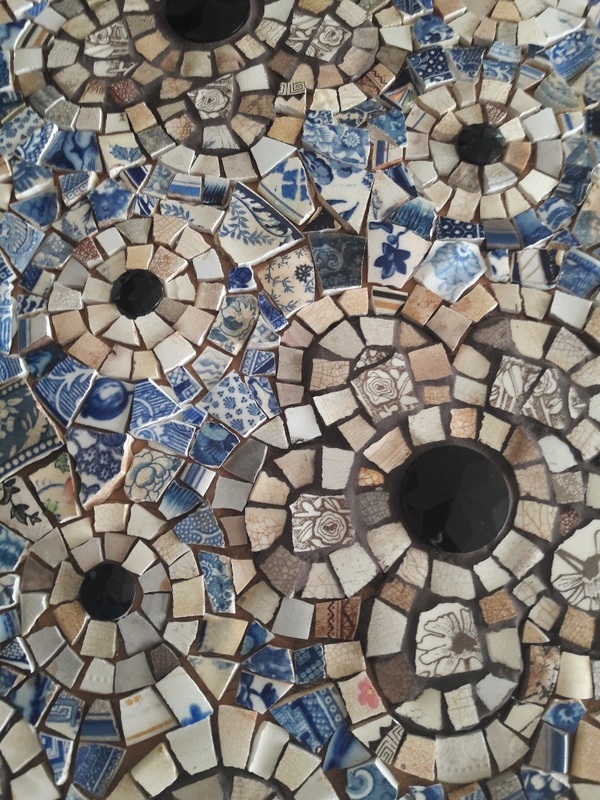 Come and learn how to create beautiful mosaic art using recycled, broken china and found objects. This is a very inspiring and therapeutic way to spend a weekend by fitting broken pieces together and creating something new. All materials are provided, with an emphasis on recycled and expressive art. You are welcome to bring your own china or special pieces to include in your artwork, if you wish. On Saturday, we'll plan and glue our art works. On Sunday, we'll grout and clean them. At the end of the course, you'll have your own unique mosaiced wall hanging (approximately 20 - 30cm). Bring your lunch. We will provide tea and coffee in the staffroom. All materials (china, cement bowl, adhesive and grout) are provided. You can bring any special pieces you'd like to include in your piece. A plastic ice-cream container or yogurt container for collecting your pieces is helpful. Apron and plastic gloves for grouting (optional).